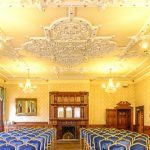 If you are looking for a meetings, conference and room hire venue within reach of Nottingham and Derby, look no further than Alfreton Hall. 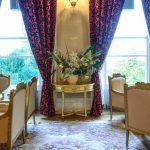 The Hall combines the feel of opulence with incredible value for money. 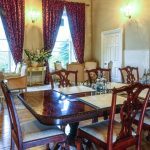 This beautifully presented Georgian country house, now a prestige Derbyshire function venue has been carefully restored to reveal the grandeur of its rich and fascinating history. Just 5 miles from Junction 28 of the M1 motorway, Alfreton Hall is perfectly located for local, regional or national events and functions and rests conveniently on the edge of the picturesque Derbyshire Dales. Due to our ideal location, we regularly serve conference guests travelling from Nottingham, Derby, Mansfield and throughout East Midlands. With a suite of fully equipped training, conference and function rooms catering for up to 180 people and the added advantage of free parking on site, you can be confident that your delegates will have everything they need to make their experience and your event work like a dream. During your event you will have the dedicated attention of our professional team, who are there to serve you with excellence and respond to your needs throughout your stay. The best way to get a sense of how your event could work better here at Alfreton Hall, we recommend that you pay us a visit. Our experience can add value to your event and help to make a good event into something great. Our conference pack is there to give you the basics in terms of what we can offer you. 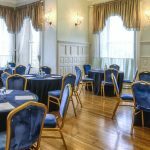 With all that Alfreton Hall has to offer we would ask you, ‘why would you consider selecting a Nottingham conference centre, with all of the hassle of parking and traffic?’ Alfreton Hall provides an ideal environment for your successful conference without all of the fuss. Please feel free to contact us with any questions you might have. We look forward to hosting you soon.